Does your business have emergency contingency planning in place? What will your business do if a major property damage situation occurs? 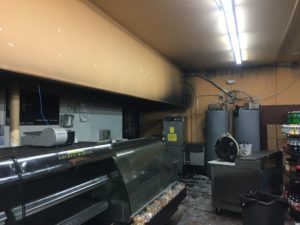 What if your business has a fire, a large water damage situation? Though these scenarios are seldom on the forefront of our mind in our day to day business dealings, they are all too much a reality. Take this scenario for instance. During third shift operations at an equipment manufacturing facility, a piece of equipment fails and overheats. Fire and flames are not an issue, however electrical wiring within the machine overheats and smolders. This causes just enough smoke within the facility to activate the fire suppression system. Now, water from multiple sprinkler heads are dousing other non-affected equipment causing additional equipment damage and wide spread flooding. At this point, all operations are ceased. What is the first order of business? Of course, ensuring that all personnel are safely evacuated! Next calling emergency help. Then? How do we get our business back up and running! Very seldom can a business afford to be down for any extended period of time. Customer orders need to be filled, production deadlines need to be met, etc. Thankfully, most insurance policies include business interruption coverage, though there is usually a cap limit. Having a complete emergency contingency plan should include having a professional restoration resource at the ready to swiftly begin restoration and recovery. Knowing in advance that your restoration vendor is one call away to begin the recovery process can be peace of mind. Consider this another form of insurance. Swift and professional disaster mitigation will minimize downtime and also minimize clean-up and repair costs. If your business does not include a restoration vendor resource, don’t wait until an emergency happens. Be prepared, partner with a resource now and have peace of mind that you will have professional help should you ever have an emergency. 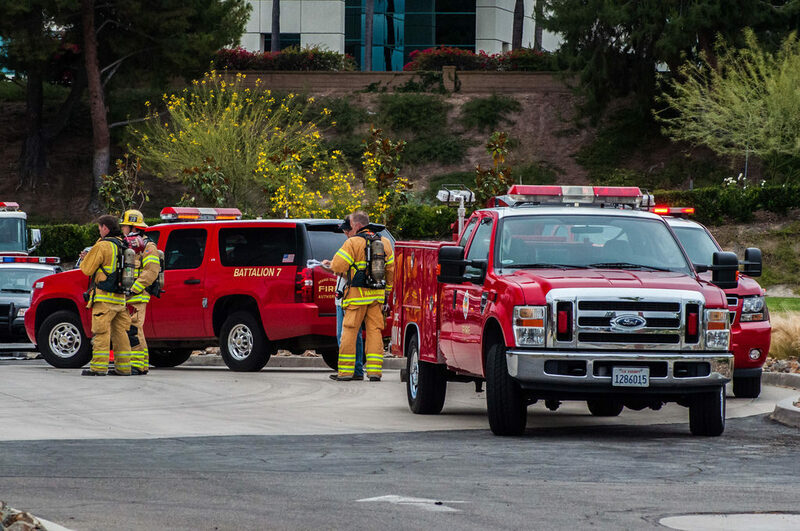 Ungerman Inc. is such a resource that you can count on to be there 24/7/365 in the event of an emergency commercial property damage, whether it is water, fire or storm related. Ungerman provides free emergency contingency consultation and preferred customer agreements. Contact us at 612-825-2800 to schedule your free consultation and have peace of mind that you can recover from a disaster. Nobody goes into homeownership expecting to lose everything in a fire. 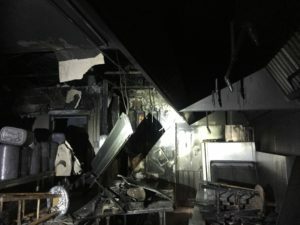 Nobody opens their business assuming that one day they’ll need to rebuild after a fire. For the most part, nobody thinks that they will be affected by fire damage. We assume everything in our home or company is set up correctly with no issues. We take advantage of our appliances and believe they were made properly up to standards. But the real world can be cruel without caring about our plans and needs. Appliances can be faulty. The electrical wiring of your home or business may have been installed poorly or damaged. Humans can make errors and neglect their food while it’s cooking. These are only a few things that can go wrong and end up causing a fire. People should always be the number one priority when it comes to a fire. If one day you find yourself in a situation where your home or business is on fire, the most important thing to do is get your family or colleagues to safety. The next step is to call 9-1-1 to have the fire department put out the fire as soon as possible. But what comes next? The challenging task of getting your household or company back on track. After the fire fighters get their job done, you’ll need to move onto mitigation and restoration. The following are seven steps Ungerman will take to help you get back on your feet. Fire can destroy windows, doors, or openings in your house or business. When this happens, it’s important to board-up any holes left in the building. This keeps your home or office safe from the elements, but it also ensures protection against potential looters and even critters. • Water getting into a home or business when firefighters are putting out the fire. • Fire damaging your pipes and other plumbing components. • Depending on the weather, rain and snow getting inside the house when a fire is happening, or after a fire has caused its devastation. Fire damage mitigation crews bring in specialized equipment to help dry out water residue and humidity to prevent further damage to your home or business. Just because a fire has been extinguished, that doesn’t mean that the damage is done. 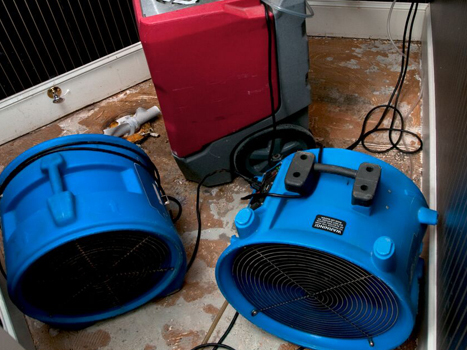 Water is one thing that can cause further damage, but another is soot residue. The acidic and corrosive traits of the soot can cause secondary damage to your property surfaces. Emergency pre-cleaning of your home or business and your belongings needs to happen immediately. Who you hire to do this job matters a lot because not every company uses the same strategy. 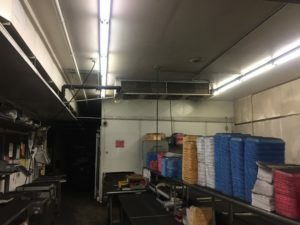 At Ungerman, our crews use safe and specialized deodorizing techniques that reach into small areas to neutralize odors caused by fire and soot residue. The structure of your home or business isn’t the only thing that gets destroyed by a fire. 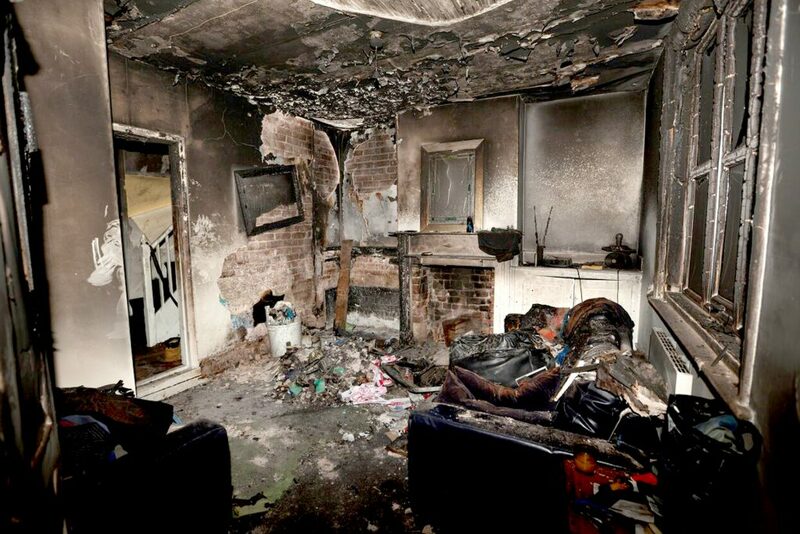 Any belongings in your house can and will be damaged as well. Unfortunately, sometimes this means losing things with rich histories or great sentimental value. Items like these are simply irreplaceable, and it’s one of the struggles you’ll need to overcome if you’re in this terrible situation. However, some items are not beyond fixing, so it’s important to carefully pack up your contents in order to facilitate necessary repairs. Depending on your insurance, repairs or replacements might be covered without you having to pay out of pocket. Each mitigation company is different, especially with how they handle your possessions after fire damage. In some cases, families and business owners need to facilitate the storage of their contents. As you might imagine, this can be extremely stressful when you’re dealing with the fallout of a fire damaging your home or business. There’s so much that needs to be done and too much to coordinate that needing to find storage is just another burden. We help our clients alleviate this stress by offering to create an itemized inventory of all of their personal property. Then, we remove and store their contents in our secure, climate-controlled facility. Electronics, appliances, and furniture are a few things that get damaged during a fire, but one of the big things that doesn’t get taken into consideration is clothing. The brutal reality is that your life isn’t going to stop because of a tragedy. You’ll need clothing to continue functioning in your day-to-day activities. The problem is that the smoke and soot from a fire leaves clothing unwearable. In order to get your clothing restored, you’ll need to find a professional laundry and dry cleaning company to do the job. We help our clients by connecting them with a professional laundry and dry cleaning company to determine their clothing restoration. It’s a small gesture, but people are thankful for it because it saves time and stress. • Furniture such as couches, recliners, desk chairs, etc. Cleaning and restoring these types of things is difficult. Generally, it isn’t something most people can do on their own. It requires experience and professional-grade tools to fully clean and restore these contents back to their original quality. Outside of restoring the structure of their homes, offices, or warehouses, one of our services that we offer to our clients is to have our specialized professionals clean and restore all aspects of their possessions. This could include anything from photos, art restoration, furniture, and more. It’s also important to note that sometimes fires can cause additional damage, and cleaning alone isn’t enough to fix the problem. If the fire damages the structure of your home or business, we can also offer reconstruction services. Reconstruction may seem scary, but it’s worth it to avoid completely starting from scratch by finding a new home or business location. These seven steps can be overwhelming. Nobody can do them on their own, which is why it’s necessary to hire an experienced mitigation and restoration company. If you’re looking for a mitigation, restoration, and renovation partner, we can offer emergency and non-emergency services for all your needs. UNGERMAN is a family-owned company providing full-service mitigation, restoration, reconstruction, and renovation. We have spent over 40 years perfecting our soot damage cleanup, fire cleanup, and smoke odor removal. We are experienced in cleaning techniques for wall, floors, cabinetry, appliances and many other specialized items. We also have the know-how to attack smoke odors hidden in carpets, clothing and furniture upholstery. Our crews use safe and specialized deodorizing techniques that will reach into small areas to neutralize odors caused by fire and soot residue. Our fire and smoke technicians understand the effects of heat, smoke, and residues left behind from a tragedy. Mitigating the loss immediately can help save the insured personal belongings. 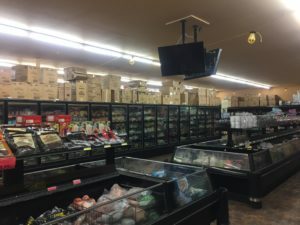 This past week we started restoration for a grocery store that sustained fire and smoke damage throughout. Ungerman has always been known as a top notch residential restoration company, however we also provide expert service for any commercial loss involving water damage, fire damage and more. Ungerman can respond to commercial losses 24/7.